What better way to celebrate Valentine’s Day than to bring in sweet little puppies available for adoption? 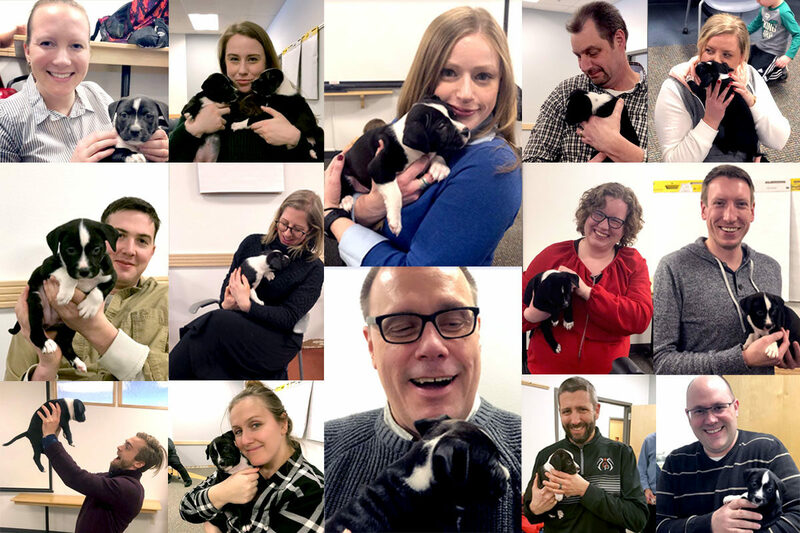 This year, bb7 hosted a “puppy love” party for our team and our team’s family members in celebration of the holiday. 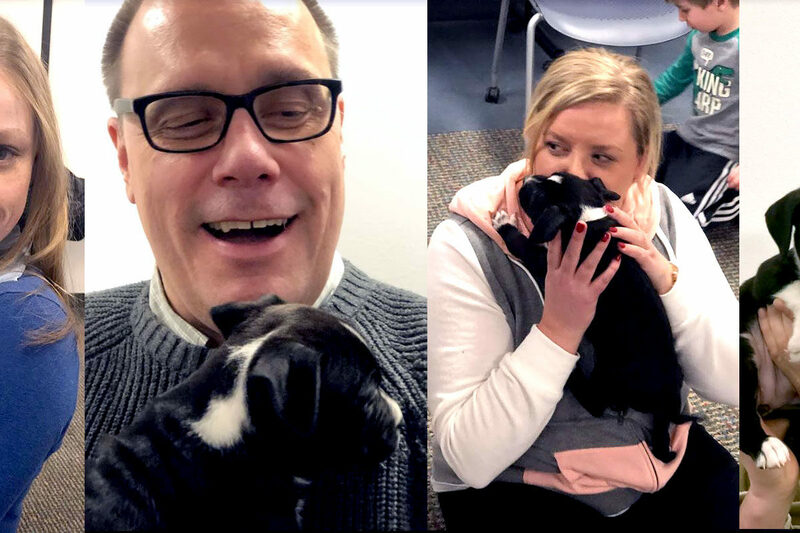 For a small donation and a very worthy cause, Ma, Paws and Me, a non-profit pet rescue organization brought adoptable puppies into our office for a few hours. This family run organization is committed to rescuing while reducing the number of homeless animals in need, regardless of breed, age, or disability, and responsibly placing them in permanent and loving homes. This organization will bring adoptable puppies to your office for a small donation, too! While the puppies were visiting us, time stopped. Worries melted away. Tails wagged. Hearts filled. Snuggles and cuddles were had by all. Happiness is a warm puppy in your lap or licking your hand. A good workplace culture to us means dogs are no strangers to the hallways of bb7. We have long been known for our dog-friendliness and on many occasions, you will find someone’s furry friend lying at their feet under their desks, on their laps or in a sunny patch in our lobby. We have “regulars” who visit us often for back pats, head scratches and bear hugs, including Sheffield and Addison Hilt, Bubba Hren, Kira Neeley, Bo and Coco Turner, and Watson Kersten. While we have some places at bb7 that are off limits to our four-legged friends (our prototype and fabrication shop along with electrical, assembly, testing laboratories, and any conference rooms where we are having client meetings), most of our 70+ employees love the sight of a pup trotting happily down the hallway. We have vacuums at the ready and dog breath doesn’t offend us. But most importantly, we have best friends nearby, always ready with a smile and a wag.